Bible-loving Christians (which I consider myself to be) should ask: What does the Bible say about this? The answer will depend on how carefully and deeply you read. A NARROW READING might conclude that anything other than the modern Bible has to be the work of man and not God because it is adding to or taking away from the writings of the Bible (Deut 4:2, Rev 22:18-19). But this is a lot like the man who once asked me and my friend if we thought God had ever answered our prayers. God will give additional light and knowledge to us through his Holy Spirit (John 16:13). The heavens are not sealed. And if he speaks to me, Kevin Crenshaw, then he surely spoke and speaks to others more worthy than I. And if the Holy Ghost was promised to “shew you things to come,” (John 16:13), which is the definition of prophecy, then he surely spoke other prophets even after Christ’s resurrection (see Acts 10:9-20) and even today. Their words would be scripture too, and I’d want to know what the Lord said to them. Would you? For whosoever hath, to him shall be given, and he shall have more abundance: but whosoever hath not [does not ask or seek], from him shall be taken away even that he hath. Who is he referring to? A casual reading would say, “the Gentiles.” However, to understand clearly we need to look at this statement in context, considering: 1) the history of the Lord’s covenants with the house of Israel in both Old and New Testament times, and 2) what Christ actually said to the people during his ministry around Jerusalem. The Messiah’s coming was crucial to everyone, but it also answered ancient promises made to the house of Israel. God does and must keep all his promises. Of all the 12 tribes which ones did the Lord love most? The answer is “all of them”—his covenant was with them all. By the time of Christ, only Judah and Levi remained in Jerusalem, the remaining 10 tribes had been “lost” and scattered. “Lost” means lost only to us, however, not to God, because God knew where he had taken them and where they were at that time. The prophecy alludes to the tribe of Joseph having branches that “run over the wall” from the central well where the main tree resides. Joseph’s tribe would be sorely shot at and hated (war, destruction), but would be blessed with “blessings of heaven above,” and numerous posterity, and blessings related to the oceans, and those blessings would prevail even far away in distance and time. The Book of Mormon describes the full fulfillment of many of these prophecies (and more). It says it was written by prophets of a branch of the house of Joseph who left Jerusalem 13 years before its destruction by Babylon. They were led by the hand of God, through prophets who had testified at Jerusalem, through the Arabian desert and eventually inspired to build boats capable of crossing the oceans, where they settled in a small region of Central America. Would it be fair to them to deny them the blessings of the Messiah in their lives just because they had been led away? 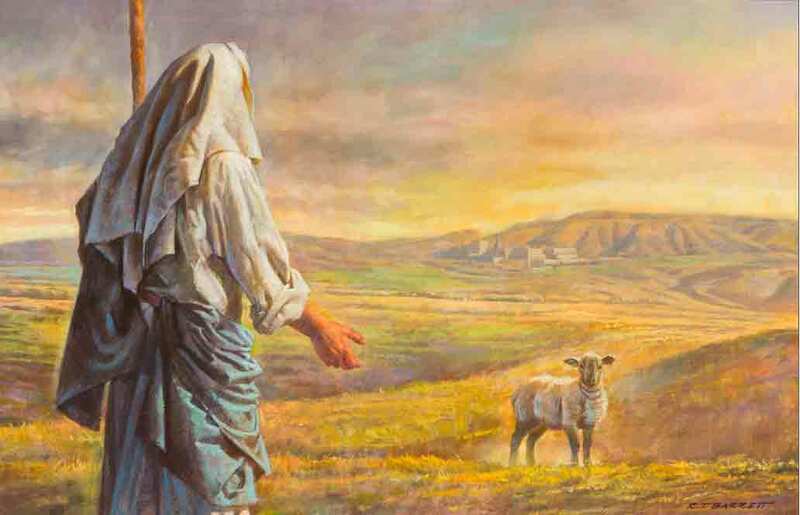 Christ said in John 10:16 that his “other sheep” would “hear his voice.” What does this mean exactly? And verily I say unto you, that ye are they of whom I said: Other sheep I have which are not of this fold; them also I must bring, and they shall hear my voice; and there shall be one fold, and one shepherd. And they understood me not, for they supposed it had been the Gentiles; for they understood not that the Gentiles should be converted through their preaching. In fact, the Book of Mormon makes it clear that Christ’s mission wasn’t just limited to this small branch of Israelites in Central America. He also had a ministry to perform among the remaining lost 10 tribes, wherever they lived at that time. Ask yourself: has the world accepted the other book(s) that that have been written about “many other things which Jesus did” among his lost sheep of the house of Israel as he and his prophets had promised? Books which claim to be ancient scriptures written by further prophets of the house of Israel, to which Jesus actually said he was sent? (See Matt 15:22-24.) Has the world generally accepted the Book of Mormon? Or was John right that the world would not accept such things even if they were written? 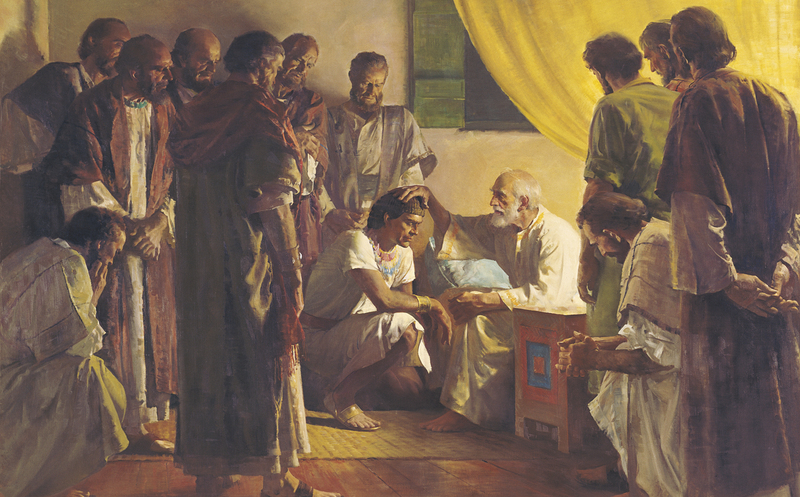 Tens of millions have read the Book of Mormon, asked God if it is true, and received a witness from God by the power of the Holy Spirit that it is scripture. The Book of Mormon complements the Bible—adding its witness that the Bible is true in an age when many even doubt the historicity of the Bible. Kevin Crenshaw is a Mormon who teaches and advises Mormon young men and recently served as a 7-year volunteer seminary teacher for LDS youth. Although he makes every effort to be a careful student of LDS theology and history, the opinions expressed are his own. He is not authorized to speak officially in behalf of The Church of Jesus Christ of Latter-day Saints.